We have a very exciting and unique opportunity that has come up for a GP who is looking to relocate to New Zealand and earn a high level of income. 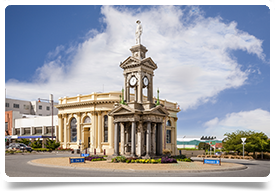 The Southland Region is known as a land of the rugged coast and rolling plains and is renowned for its hospitality and friendly, high standard accommodation. From scenic mountain bike and walking trails to the fabulous locally sourced seafood, this really is a location that will showcase New Zealand at its best. The region is not only a haven for native birds but also plays host to some rare and unique wildlife. New Zealand is becoming more and more a location of choice for those who previously considered Australia as the most desirable location down under. Its rapid growth compared to other developed countries has recently been referred to as a “rock star economy” and it was voted the best place in the world to raise a family by the 2014 HSBC Expat Explorer Survey, and most recently was voted the 2nd safest country in the world to live.